So how do we invest in relationships? We regularly use the Up, In, Out triangle to evaluate relationships with God, other Christians and the world. Is it a good time to do a quick Up, In Out audit for your MSC again? I’m convinced that there are 3 sets of relationships that are key to us right now: Parents, Peers and People of Peace. You can hear more of my thoughts on this by following this link. From the point of view of leading an MSC, here are a few questions to start thinking about in relation to these relationships. 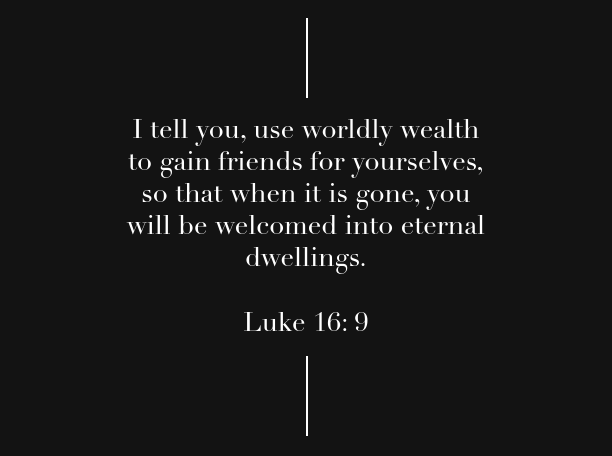 Parents: Who is investing into your life? Where do you go to get advice and guidance. Who do you submit to. How do you feel about being viewed as a parent by people in your MSC? Is your life worth imitating?Peers: Who are your people? Leading an MSC can be hard and demanding – do you have relationships that you can turn to for rest and fun. Who will be there for you when it all goes pear-shaped. Who do you help? How might you encourage a deeper family like realtionship in your MSC? People of Peace: Do you know who your MSCs people of peace are? Do you pray for them regularly? How is their journey towards God going? Do you regularly go looking for people of peace as a community together? Are there people who like, listen to and serve your community? On Sunday Ben talked about Relational Capital. The reading was the story of the Shrewd Manager from Luke 16. You can also print out and use this image to help with the response exercise.